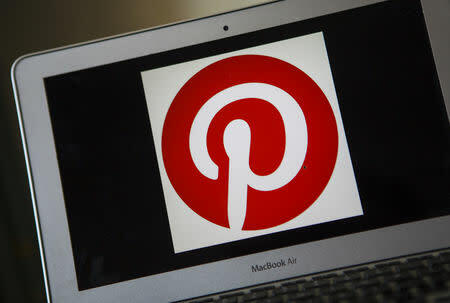 (Reuters) - Pinterest Inc, the owner of the image search website known for the food and fashion photos that its users post, filed for an initial public offering with U.S. regulators on Friday, looking to tap into a red-hot market for new stock offerings. The filing comes a day after jeans maker Levi Strauss & Co's blockbuster debut, and ride-hailing service providers Lyft Inc and Uber are set to pursue much-anticipated listings. Investors are anticipating 2019 may be one of the most active years ever for tech IPOs. Pinterest, which plans to list under the symbol "PINS" on the New York Stock Exchange, set a placeholder amount of $100 million to indicate the size of the IPO. The final size will change. Reuters reported in January Pinterest could raise around $1.5 billion and that the IPO was likely to come in the first six months of 2019. The company was valued at $12 billion in its last fundraising round in 2017. The San Francisco-based company has grown rapidly since its founding in 2008, boasting in the regulatory filing that it reaches more than 250 million monthly active users, two thirds of whom are female. Pinterest said its annual revenue in 2018 was $755.9 million, up 60 percent compared to 2017. Nevertheless, it remains unprofitable with a net loss of $62.97 million, narrowing from a net loss of $130 million a year earlier. Like Lyft, Pinterest plans to go public with a dual-class share structure to concentrate voting power with Class B shareholders, which include co-Founder, President and Chief Executive Officer Benjamin Silbermann. However, Pinterest said Class B shares will automatically convert into common shares seven years after the IPO. This conversion will not take effect if these Class B stockholders continue to own at least 50 percent of their shares held at the time of the IPO. This follows a trade group representing top U.S. pension funds and asset managers asking exchanges to require companies seeking to go public with share classes with unequal voting rights to have plans to equalise them within seven years. Investors focussed on corporate governance have criticized dual-class share structures after the likes of Snapchat parent Snap Inc and meal-kit maker Blue Apron Holdings Inc went public since with little or no voting representation for certain investors. Goldman Sachs and JP Morgan are the lead underwriters on the Pinterest IPO. Is Cypress Semiconductor Corporation (CY) A Good Stock To Buy According To Hedgies?